Allergy Doctor of King of Prussia – Allergy & Asthma Specialists Who Has Asthma and Why? Who Has Asthma and Why? Experts estimate that about 26 million Americans suffer from asthma, a serious condition that affects respiration. While there is no cure for asthma, people with this condition can work with an asthma specialist to find relief. An allergist can help patients discover the triggers of their symptoms and learn how to manage the condition. Asthma can affect anyone. If you have asthma, it means that your airways have chronic inflammation. This can cause mild symptoms or life-threatening problems. It isn’t yet known exactly why certain people develop asthma, while others don’t. However, asthma specialists believe that it may be a combination of environmental factors and genetic predisposition. 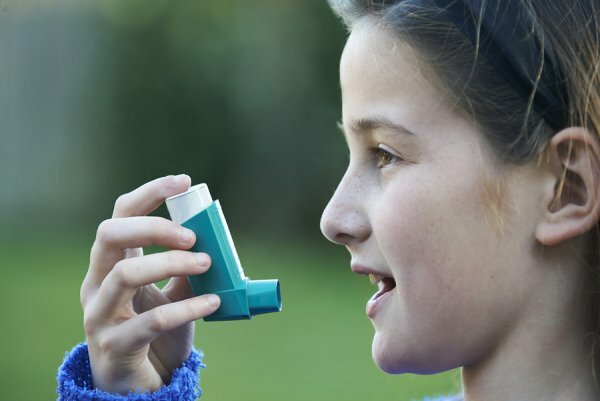 Certain risk factors are thought to increase a person’s chances of developing asthma. These include being a smoker, being overweight, having a family history of asthma, being exposed to secondhand smoke, and having a mother who smoked during pregnancy. Why do Asthma Symptoms Occur? Although asthma doesn’t go away, patients have periods of time in which symptoms are well managed and periods in which symptoms flare up. A symptom flare-up is referred to as an asthma attack. This may be triggered by a wide range of conditions, including allergies to pollen, dust mites, cockroaches, mold, or animal dander. Other asthma triggers include exercise, cold air, hot humid air, respiratory infections, medications such as aspirin, and even pregnancy. A person might suffer an asthma attack when he or she is exposed to certain irritants, such as cigarette smoke or air pollution. For other people, changes in barometric pressure are sufficient to trigger a flare-up of symptoms. Discovering a person’s asthma triggers is one step toward developing an effective asthma management plan. Allergy & Asthma Specialists is a first class medical practice that provides sophisticated asthma and allergy treatment in Blue Bell, King of Prussia, Philadelphia, Pottstown, Collegeville, Jenkintown, Doylestown, and Lansdale. Our medical services include extensive patient evaluation, diagnostic testing, and medical management, including immunotherapy. You can schedule an appointment with an asthma specialist by calling 1-800-86COUGH or visiting our website.